The Supreme Court in Hetchin Haokip vs State of Manipur has observed that the detaining authority under the National Security Act should send report to the state government at the ‘earliest time possible’ and any delay caused in this regard must be due to unavoidable circumstances beyond the control of the authority and not because of administrative laxity. 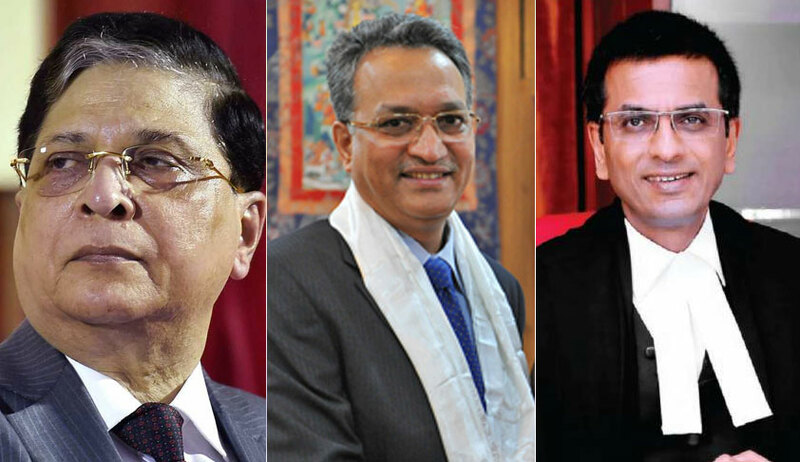 A bench of Chief Justice of India Dipak Misra, Justice AM Khanwilkar and Justice DY Chandrachud was considering an appeal against Manipur High Court order that dismissed a writ petition which had questioned the delay of five days caused, on the part of detaining authority in forwarding the detention report to the state government. Section 3(4) of the National Security Act provides that when a detention order is made by a District Magistrate or a Commissioner of Police under Section 3(3) of the Act, the Magistrate/Commissioner shall ‘forthwith’ report the fact of the detention order to the state government, along with the grounds on which the order was made, and any other relevant facts. It also states that no detention order shall remain in force for more than 12 days after making the order, unless it has been approved by the state government. The proviso to Section 3(4) states that, if the grounds for detention under Section 8 are communicated to the detenu after five days, but not later than ten days from the date of detention, the words ‘twelve days’ will be substituted by ‘fifteen days’ in that sub-section. The bench observed that the reason for the delay of five days is not mentioned in the State Government’s order confirming the detention order. “It was for the District Magistrate to establish that he had valid and justifiable reasons for submitting the report five days after passing the order of detention. As the decision in Joglekar holds, the issue is whether the report was sent at the earliest time possible or whether the delay in sending the report could have been avoided. Moreover, as the decision in Salim holds, there should be no laxity in reporting the detention to the government. Whether there were administrative exigencies which justify the delay in sending the reports must be explained by the detaining authority. In the present case, as we shall explain, this was a matter specifically placed in issue before the High Court. The District Magistrate offered no explanation. This would vitiate the order of detention,” the bench said. Setting aside the high court order, the bench said it was not correct to hold that, as long as the report to the state government is furnished within 12 days of detention, it will not prejudice the detenu. “It is settled law that a statute providing for preventive detention has to be construed strictly. While “forthwith” may be interpreted to mean within reasonable time and without undue delay, it certainly should not be laid down as a principle of law that as long as the report to the State Government is furnished within 12 days of detention, it will not prejudice the detenu. Under Section 3(4), the State Government is required to give its approval to an order of detention within twelve, or as the case may be, fifteen days,” Justice Chandrachud observed.